Our Northampton office is based in Bridge Street in the centre of Northampton town. There are lots of pay and display car parks within a short walk of the office. If you need any directions please just phone the office. The office opened in 2003 and the team specialise in property within Northampton and the surrounding villages. 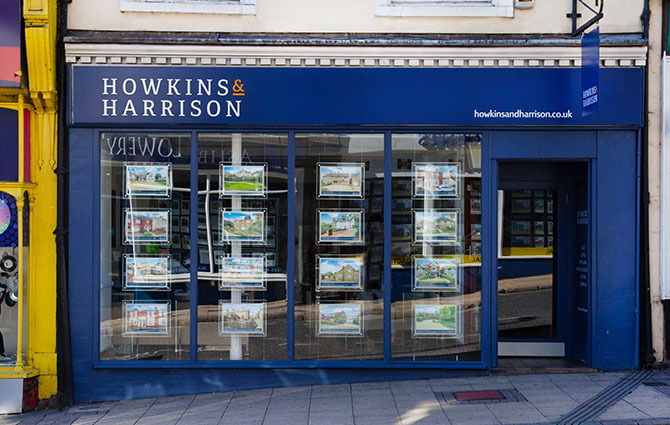 Our in-house teams here work mainly with property to sell, buy or let but we can also help introduce you to colleagues at our Rugby and Towcester offices, who work with commercial property, farm & rural, auctions, and planning & development. Northampton is one of the largest and fastest growing towns in the UK, with a population of over 200,000. Historically, it has been the centre of the leather and shoe industry, and is now home to some big employers in the town including; Carlsberg, Barclaycard, Avon and Travis Perkins. Northampton has its own university offering degree courses across subjects like sport, arts and creative, history, sciences and law. The town is steeped in history and this is celebrated on The Northampton Heritage Trail. This is a three-mile trail starting at the Church of the Holy Sepulchre, the oldest building in Northampton, and ends at The Drapery, which was the centre for drapery in the 18th and 19th centuries. Along the way there are 22 places of interest to see including, the market square, art gallery and theatre. Being located near to the M1, with close links to the M40 and having direct rail access to Kings Cross in under 50 minutes, Northampton is both well positioned and well serviced.